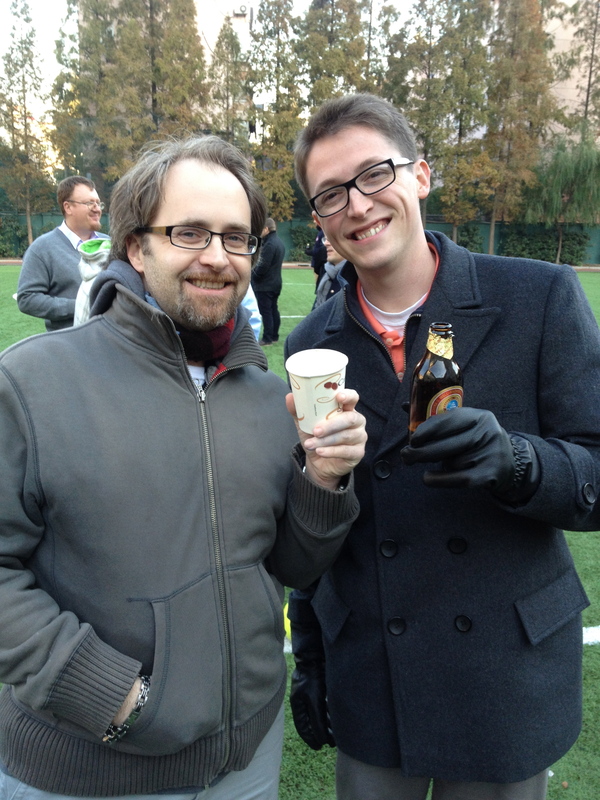 Jason and I had our first Thanksgiving abroad and unlike our family members back home, we had to work! It actually wasn’t too bad since we knew that Friday would be a professional development day! 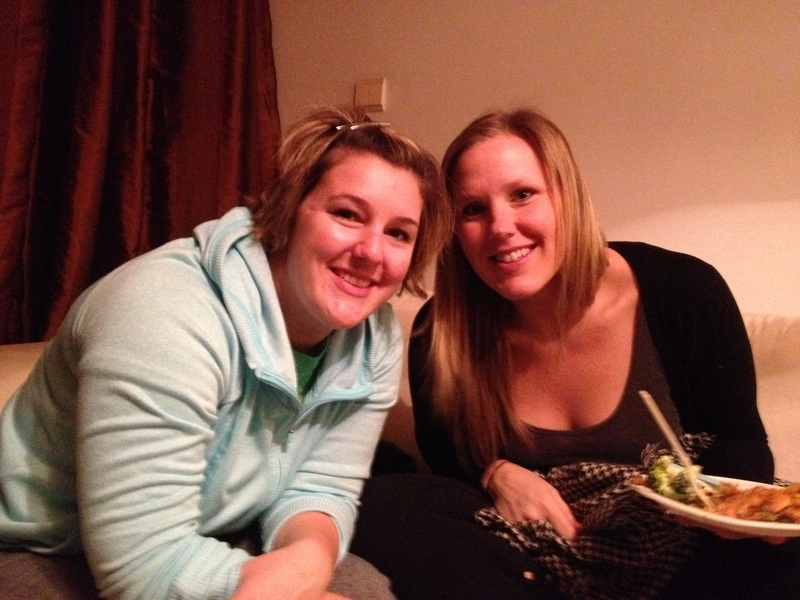 We started our week with a Tuesday night Sushi date! 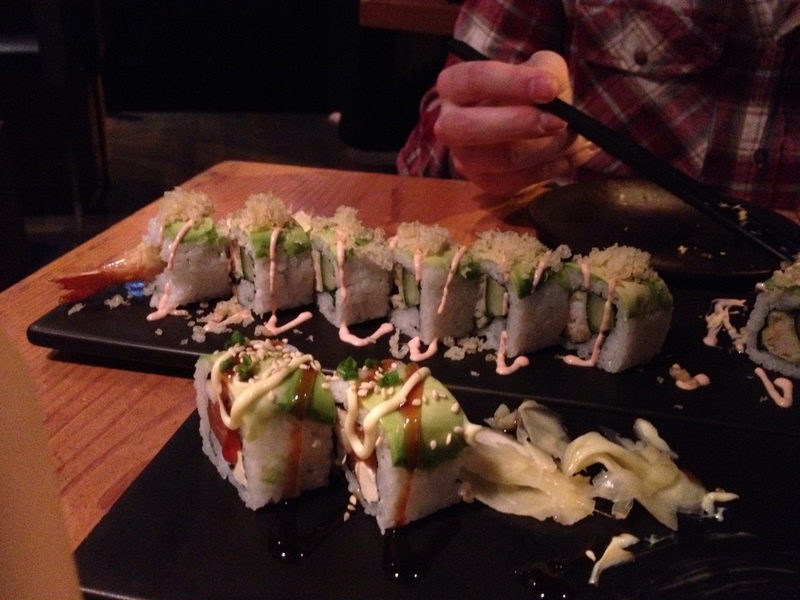 Even though it was only Tuesday, it was great to get out of our neighborhood and eat some delicious sushi! 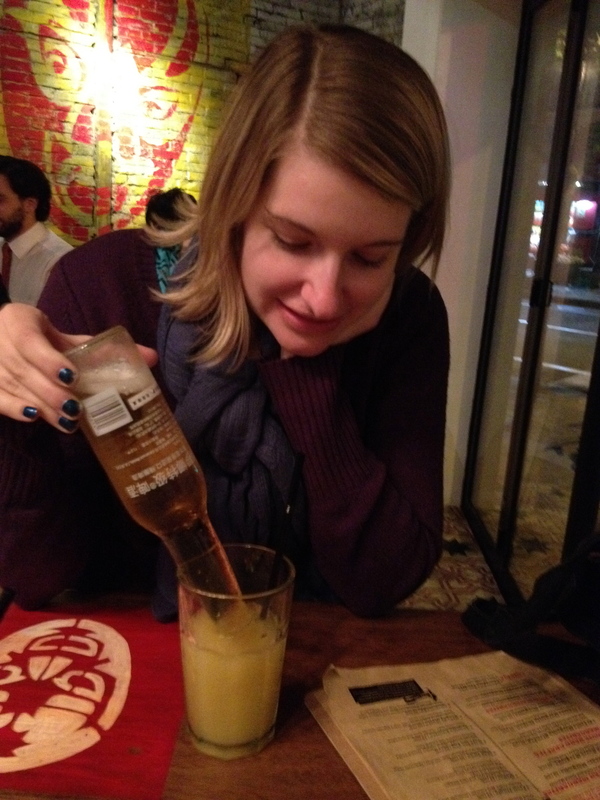 On our way home we stopped at a new Mexican restaurant to get Corona-ritas! Let’s just say, it was the perfect night cap! On Wednesday, I had to help out and perform with the Lower School dance production! 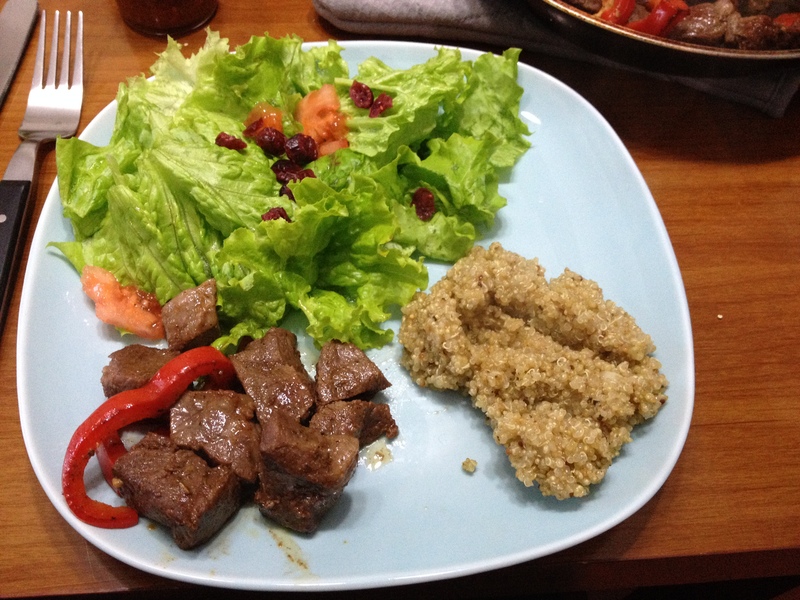 Jason and I had done such a good job last week cooking at home that we were determined to cook at home at least once, especially since we had just ordered groceries (yes ordered groceries on line) So after school quick, I cooked up some steak, quinoa, and salad. I feel that quinoa is my go to grain these days: it’s quick and easy to add flavor! Plus it’s healthy! I’m not going to lie, but this dinner was pretty good! Finally it was Thursday and Thanksgiving! I feel that Jason and I have a lot to be thankful for! A lot of people had plans for Thursday so Jason and I decided to invite our friends John and Catherine out for a double date Thanksgiving! I was in charge of picking the location and after looking at a lot of expensive places, I decided on Maya! 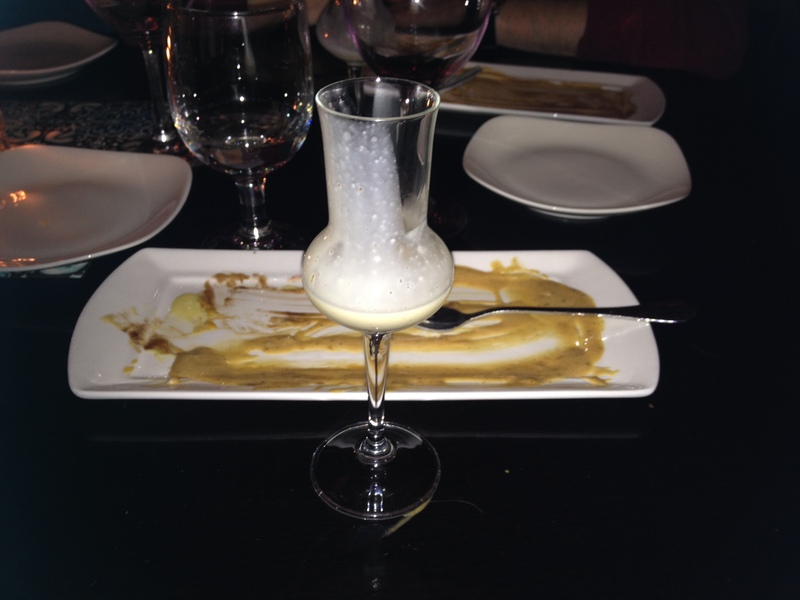 The price wasn’t too bad and the set menu included a starter, wine, dessert, and spiked egg nog! Plus I had heard good things about Maya from friends and co-workers! The food and atmosphere did not disappoint! 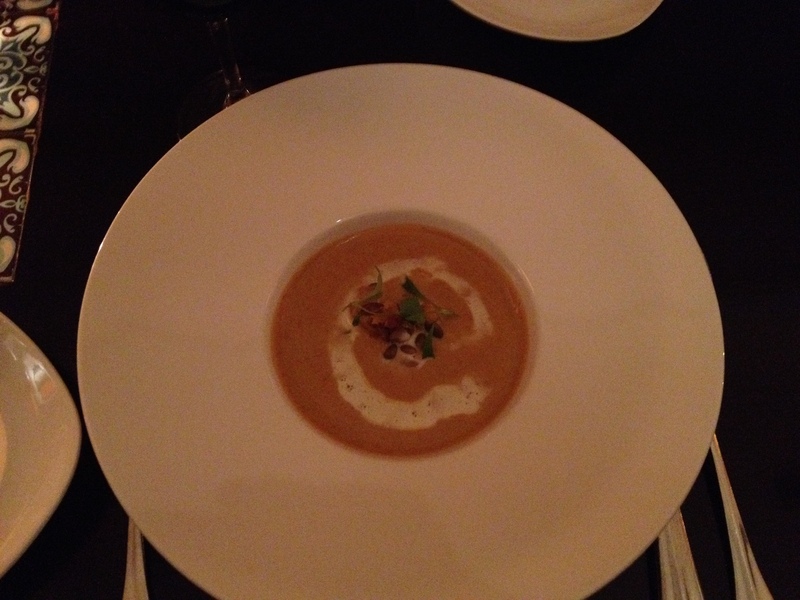 Both Catherine and I decided on the butternut squash soup, while the boys had the seafood cocktail (we made the better choice) The soup was warm and comforting! After the soup we were served our main dish which was chipotle roasted turkey, stuffing, green beans, mashed potatoes, and spicy cranberry sauce! All the food had a spicy but not over powering kick and melted in my mouth! 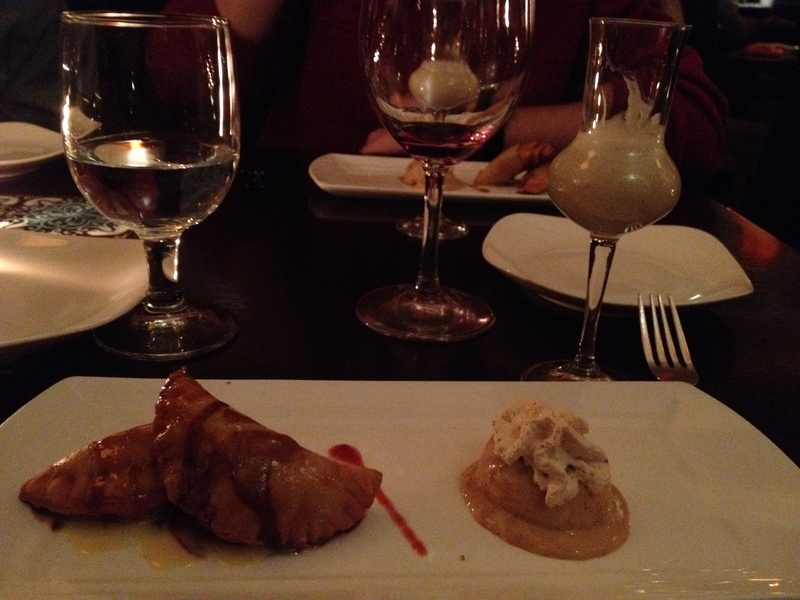 For dessert we had empanadas with pumpkin ice cream and spiked egg nog! We even were able to score an extra shot of egg nog! 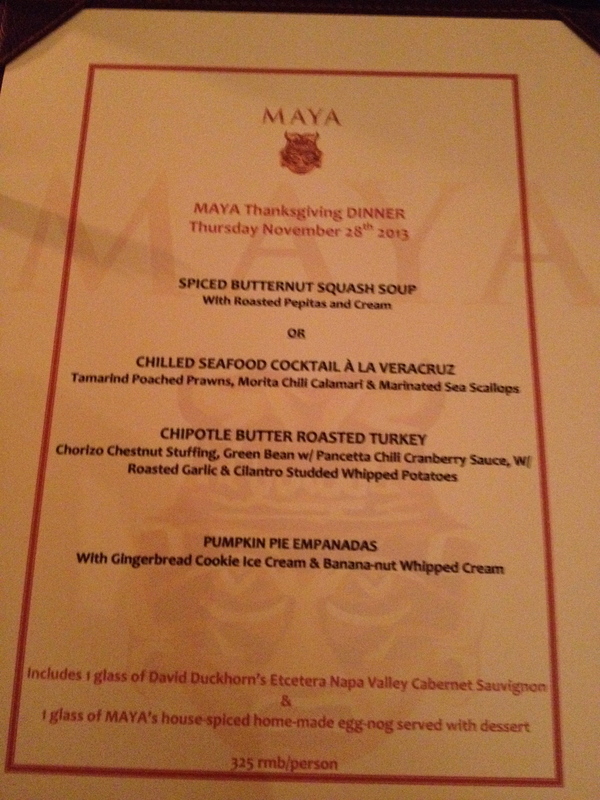 Let’s just say the dinner made up for working on Thanksgiving! Since we had late dinner reservations, we were up way past our bedtime! Thankfully Friday was an easy day at school with meetings and work time! I was asked to present about technology to the lower school and had a lot of positive feedback about my presentation! 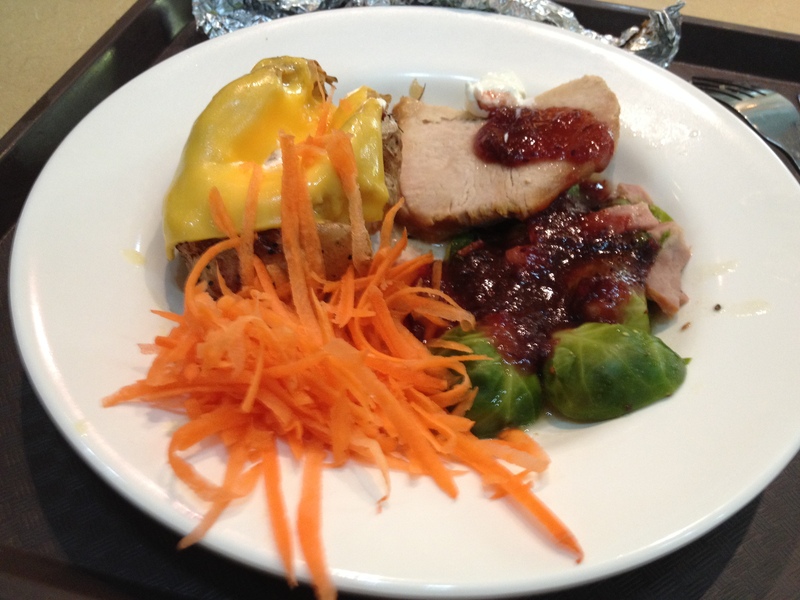 We even got a semi-Thanksgiving Lunch at school! 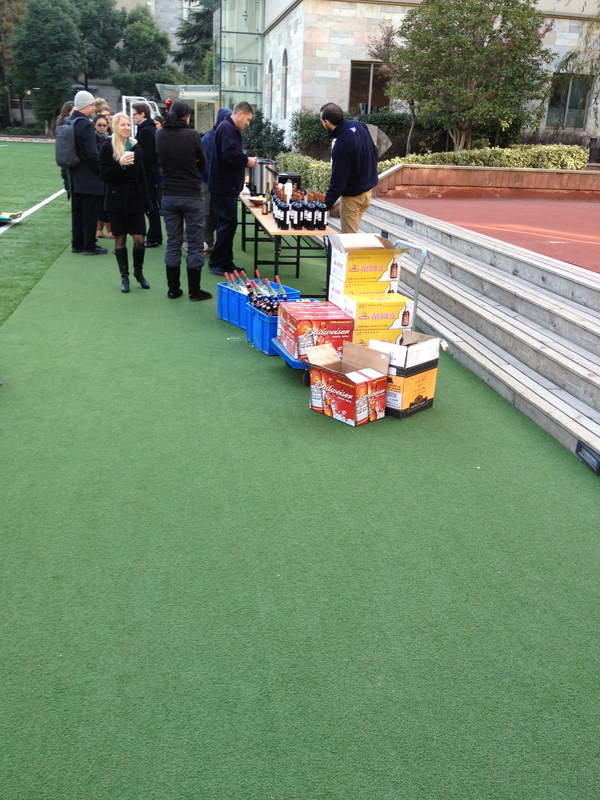 And of course…what professional development would be complete without beer and wine! 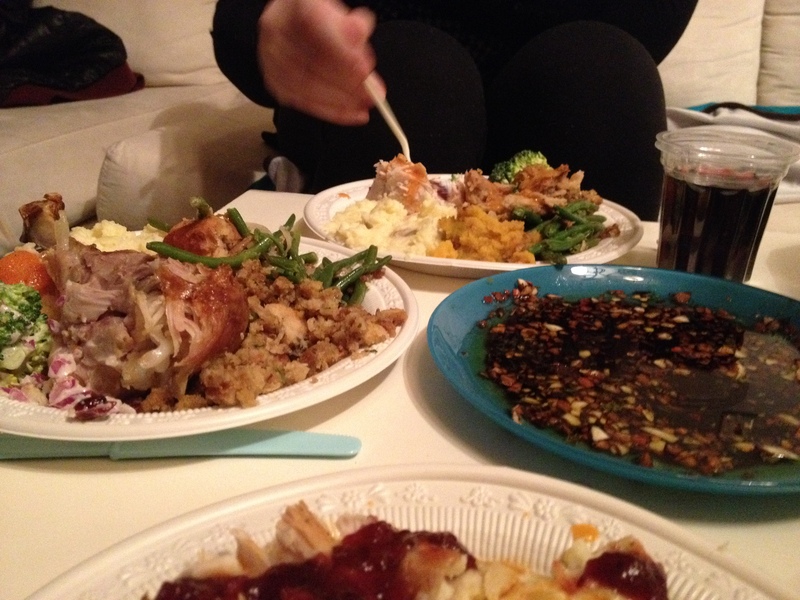 After about 2 hours outside in the cold Shanghai air, I quick came home to prepare for ANOTHER THANKSGIVING, this one hosted by my friend Boramy. Jason and some of our other friends took a weekend adventure out of town which I’m sure you’ll hear about soon! 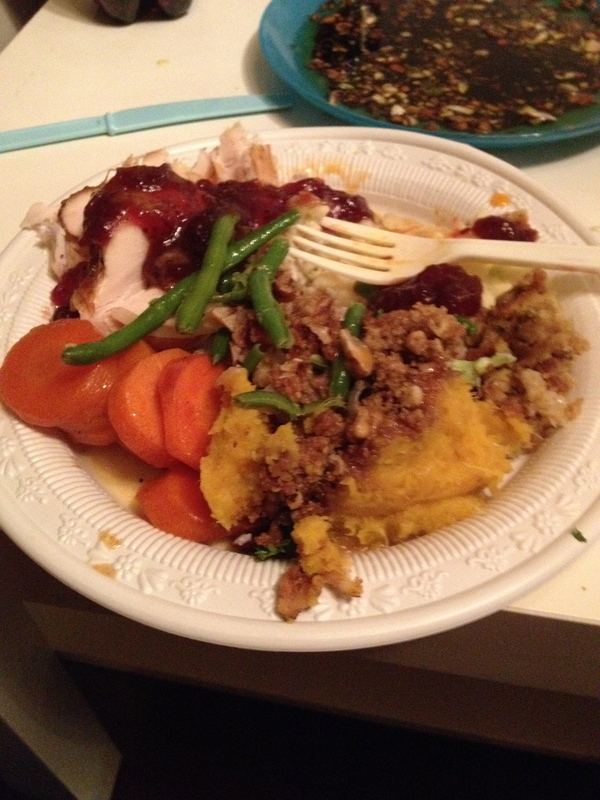 Boramy had ordered the basics: turkey, stuffing, pie, gravy, etc from City Shop and we all were asked to bring a side! I decided last minute to bring broccoli salad which was enjoyed by all! 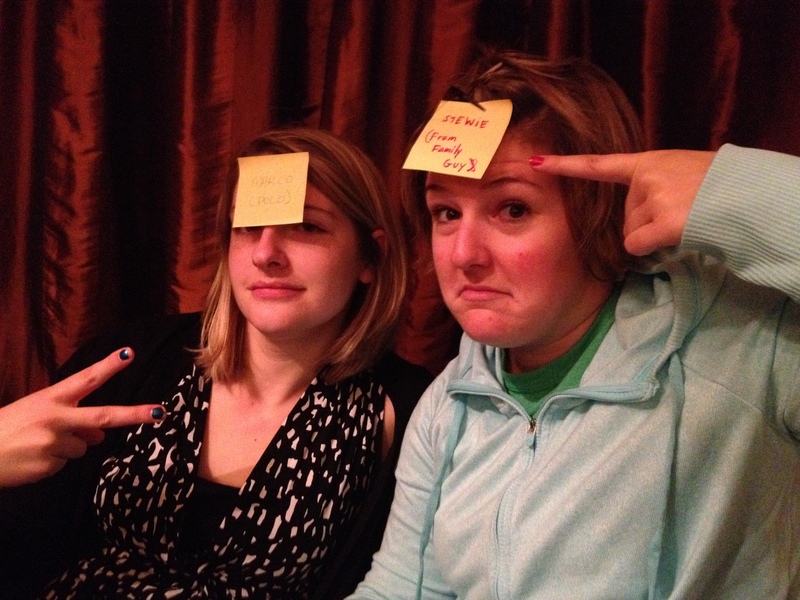 Let’s just say this friends-giving was fun and delicious! 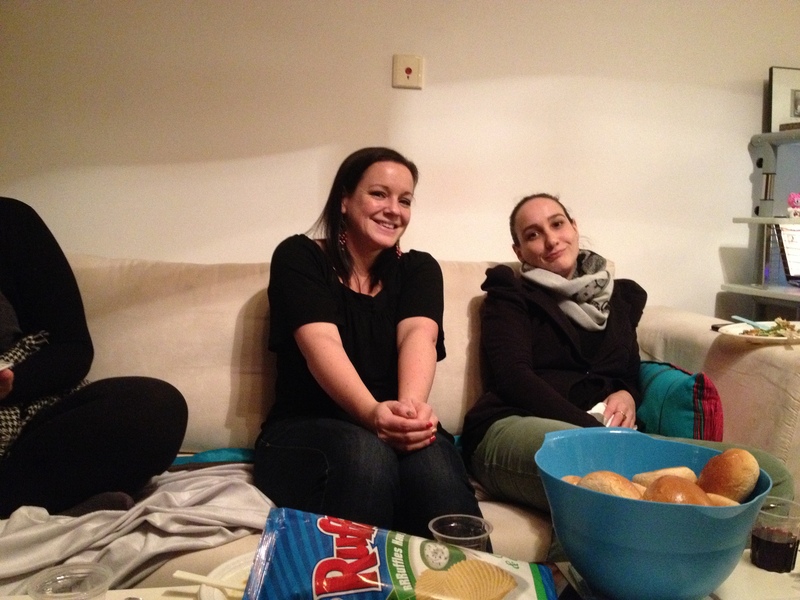 For now, I’m stuffed and so thankful for all my new friends and my lovely family back home! A vacation from the pollution jungle. 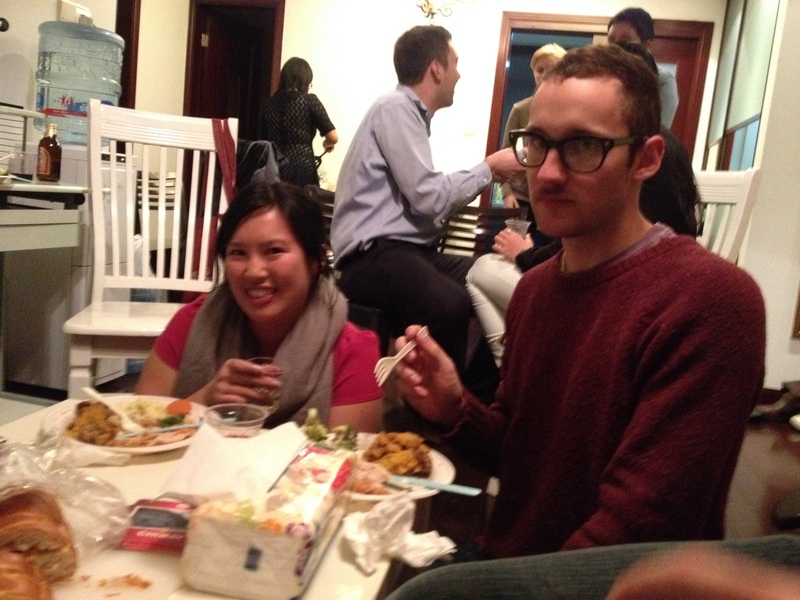 We had Thanksgiving today(Friday). All of our kids and of course the grandkids. Stan’s brother and his wife and Ron and Marge Rees. Jason, you may know them from church. They are Kim’s inlaws. Take good care and look forward to seeing you this summer. Love you.